This is not an easy thing to do but chances are this is probably what's happening. If you're relocating to a new city it can be even more stressful since you're not at both locations at the same time. But, if you're relocating within the city or just a city or to over, it can be a little bit easier but the key is to have the same real estate agent for both transactions. Your real estate agent will understand what you're doing and try to keep time frames, dates and schedules all coexisting at the same time so things get done properly and simultaneously. Prepare your house for today's buyers. Homeowners and sellers are working extra hard these days to stage their home and prepare it for even the pickiest of buyers. You should be no different regardless of the amount of homes on the market. You will be competing with hundreds of other homes, possibly dozens within your same price range and style so you need to present your home is the obvious choice. To do so, you'll need to make sure that every little detail is cleaned up, fixed, repaired or replaced. In order to compete you need to understand your closest competition. Before listing your home talk to your real estate agent about how to compete with similar homes in the same neighborhood. If you're offering more value for less price, your home will naturally sell quicker. Living in a home, especially for several years, can make you blind to a lot of the issues that buyers will see right away. Ask a friend or trusted coworker or even your real estate agent to be honest with you about eyesores that may stand out or major issues that would prevent a buyer for making an offer. These are items that need to be addressed right away. Also, you want to clean the home like you've never cleaned before. If necessary, hire a housecleaner at least once a week while your home is on the market. Clean window tracks, window blinds, ceiling fans, baseboards, stair rails and items that simply get overlooked. Also, you want to replace anything that is outdated or broken. Check for leaky faucets, mildew, mold or lost seals in the windows and tracks, broken light switches or plug-ins. They may be minor details but again, you're trying to compete with your closest competition and even minor details such as these can break a sale. Price lower than your closest competition. Remember, you are on a time schedule to get this home sold. Find out exactly how much you need, if you're underwater in your home evaluation and what is the best approach to pricing your home. Pricing it high at the beginning is usually not a wise move. By the time you drop the price to where it should be, August is fast approaching and you might find yourself selling for far lower than you could have at the beginning of summer. Find your closest competition and priced just a few thousand dollars lower and your home will get more views and potentially more offers. Don't just let your real estate agent do the marketing. Yes, your real estate agent or broker should market the heck out of your home on social media, websites, in print and in person but you can also help by posting your home on social media and asking friends and family to share to get the word out. You never know where your buyer is going to come from so it helps to put as much exposure on the home as possible. 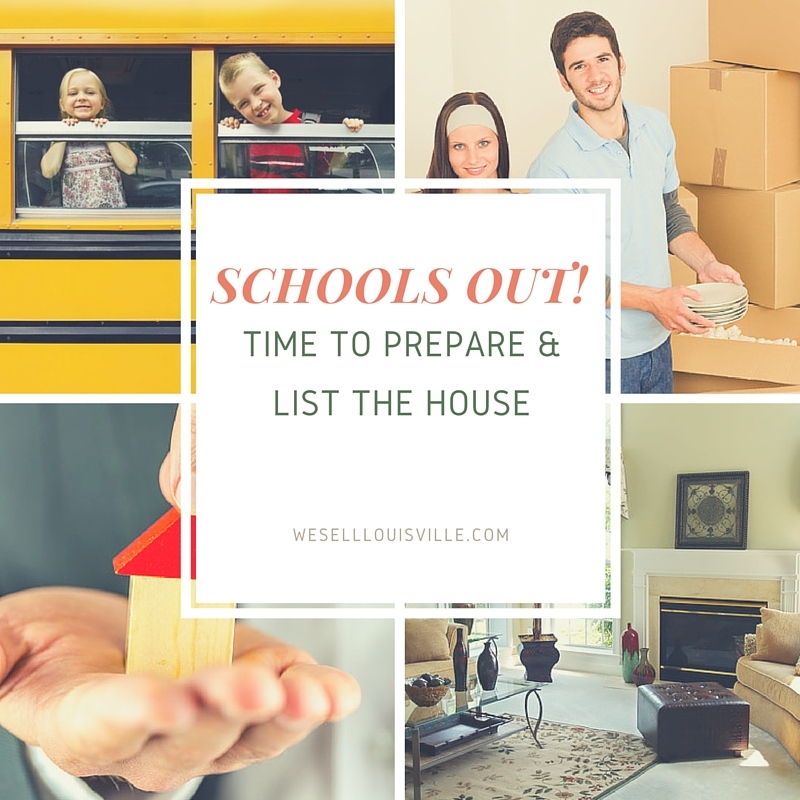 Are you ready to list? Not sure if your home is list worthy? Give us a call today and let's talk about your home value, what you could be doing right now in order to prepare your home for sale and let's get the property sold as quickly as possible.